Click for Sky Watch Friday. Gorgeous contrast between the gold and the blue. simply delightful. very cheerful. happy weekend. Beautiful contrast. Blue and gold is a perfect combo. Love the colors and that clear blue sky!! I do love that blue, blue and gold!! And, yes, a gorgeous contrast indeed!! Thanks for sharing the beauty!! Have a great weekend, Carver!! This is a lovely combination from nature. Great shot! 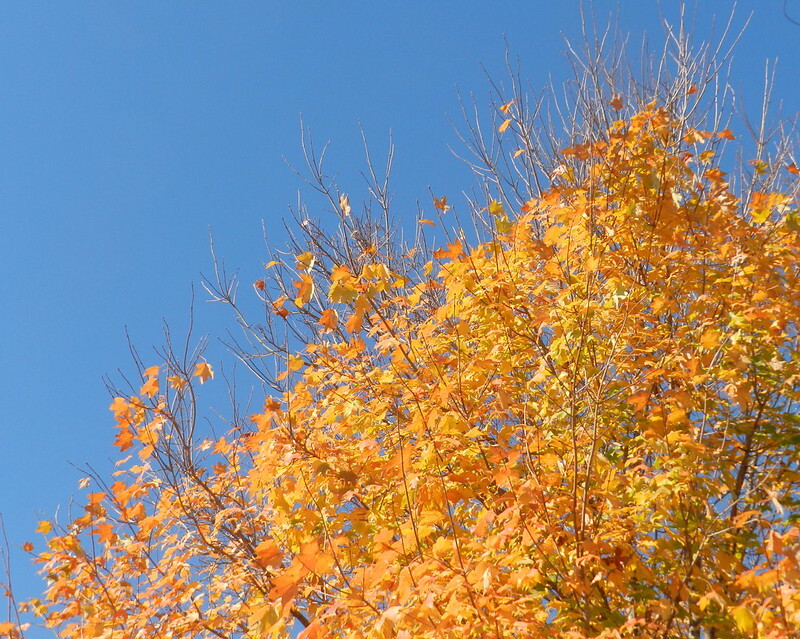 Crystal clear blue skies provide a perfect canvas for the colors of autumn. Well done. Have a blessed Skywatch Friday. You found the pot of gold! Your world sure looks more Autumn then mine here in North Idaho. We have no leaves on on your trees. But we have clear sky like you do.